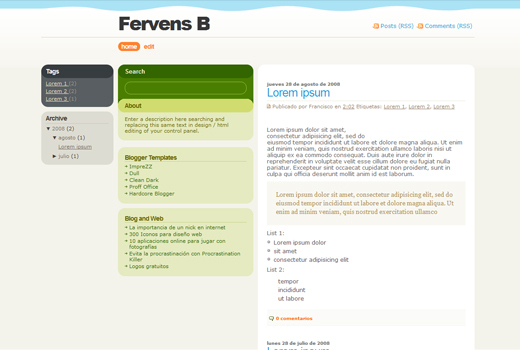 Fervens C Template for Blogger XML fans, free download here. All images hosted on our server. Thanks to get a wonderful post and exciting comments. I observed this post although surfing the web for Thanks for sharing this short article. I have discovered a much here and I look forward to more updates and will be returning. Its very well written; I love what youve got to say.